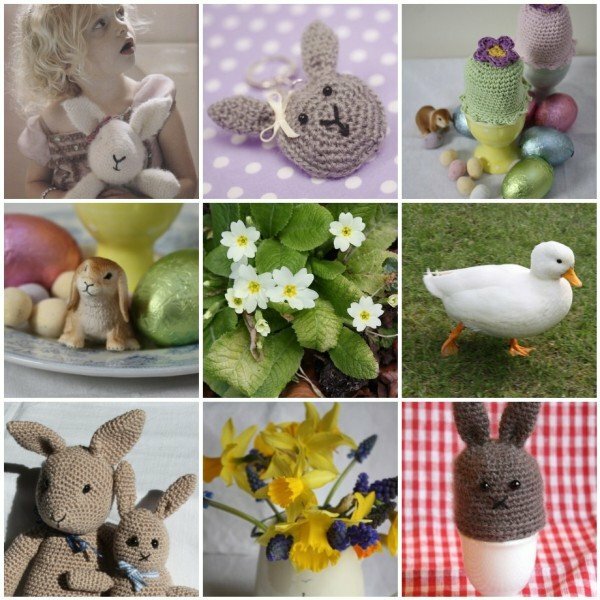 I frequently forget that over the years I have made loads of crochet patterns which are great for Easter. 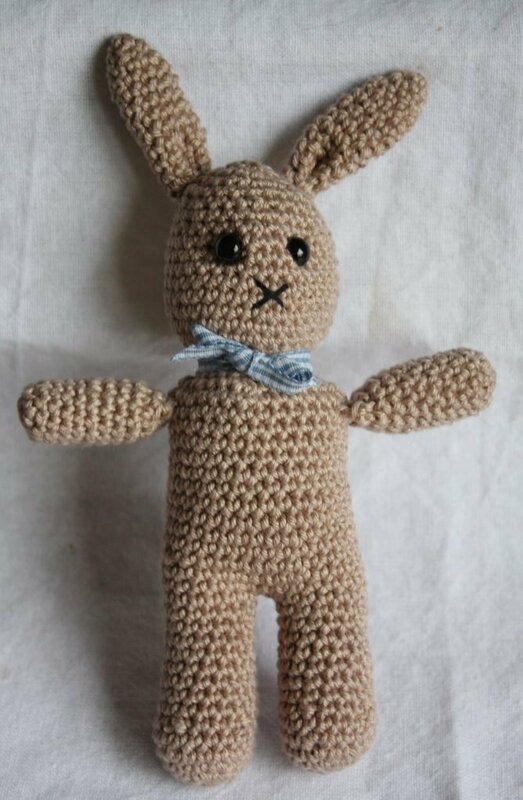 There are a number of patterns which are perfect for a non-chocolatey gift on this very blog. You are welcome. 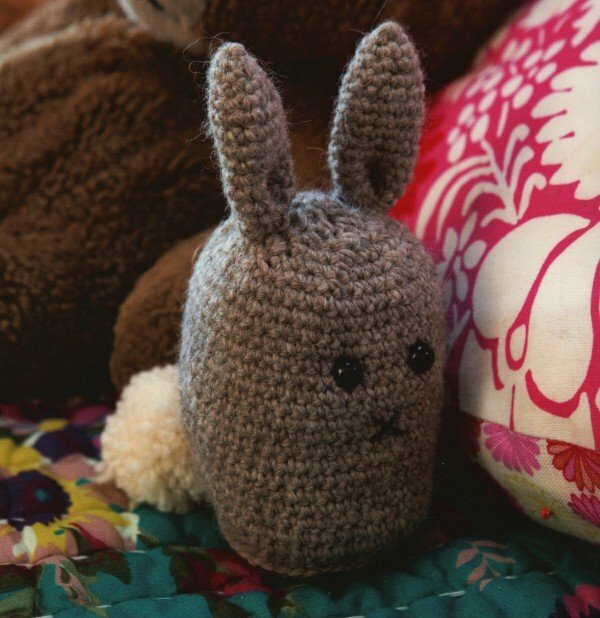 But also don’t forget that my books also have some cute bunny makes. 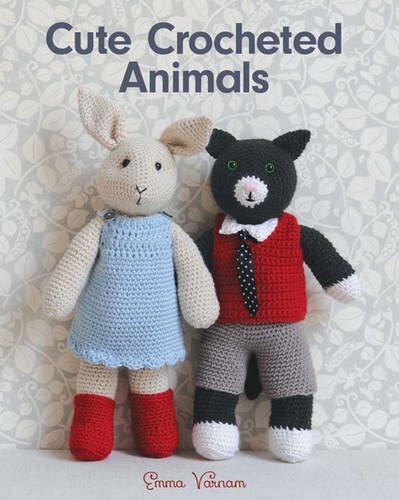 Why not make either Emily or Jack Rabbit from Cute Crocheted Animals. I made a version of Emily in DK weight yarn last year. She comes up slightly larger and I just used the same weight yarn for her cardigan. If you feel adventurous you can sew a fabric skirt as a pretty alternative. 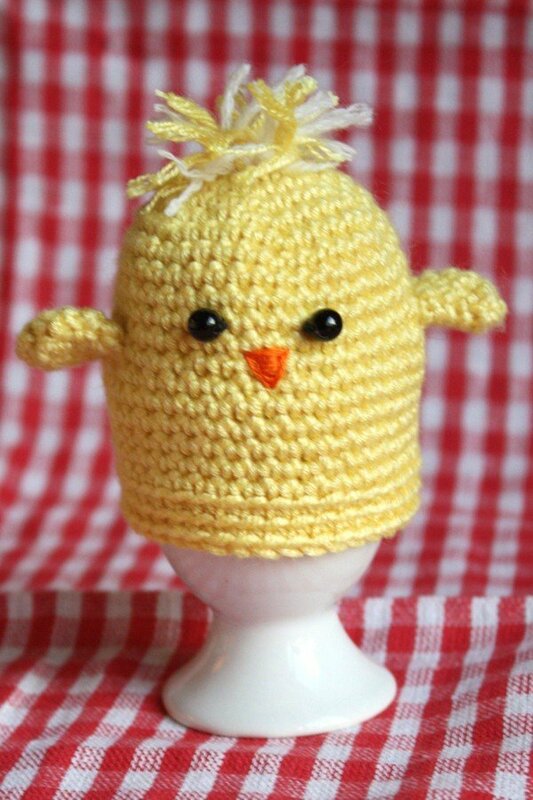 What about making my starter egg cosies.? 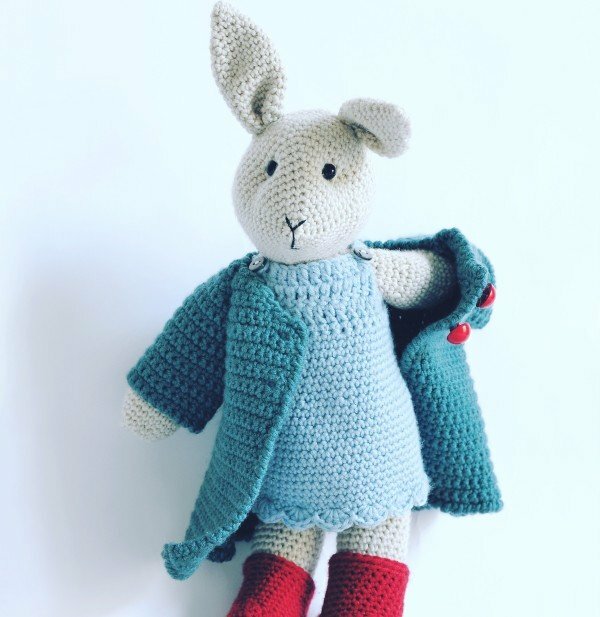 This bunny and chick duo are a great beginner project for anyone starting to learn how to crochet in a spiral. I think they make a great gift idea for children at Easter. So from now until Easter 2018 you can download these PDF’s for free. Please subscribe to my news letter as it is great to keep in touch. 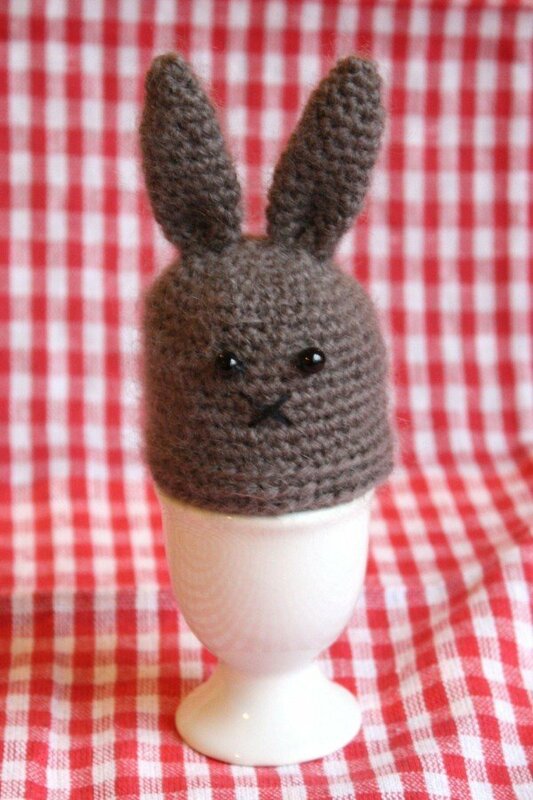 You can see that I evolved this egg cosy into my Bunny baby toy for my book How to Crochet . If you have a copy of the book it is worth revisiting this pattern for a lovely table gift for young friends on Easter Sunday. An idea might also be to hide him in your garden for a little bunny hunt. Finally, I do get lots of likes for this little free pattern, designed many many years ago. He is rather sweet and is the perfect size for little baby hands. This is another free pattern on the blog. 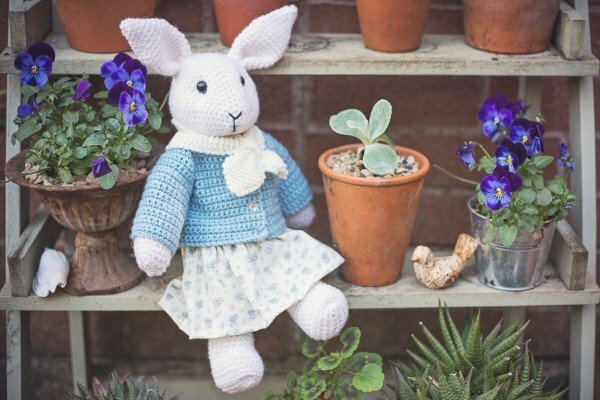 I hope I am giving you enough time to make a few cheeky spring gifts. Oh how I love this time of year! 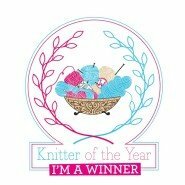 If you have an idea for a pattern you would like me to create I would love to hear. This sounds wonderful. I will try to do a video tutorial for you.